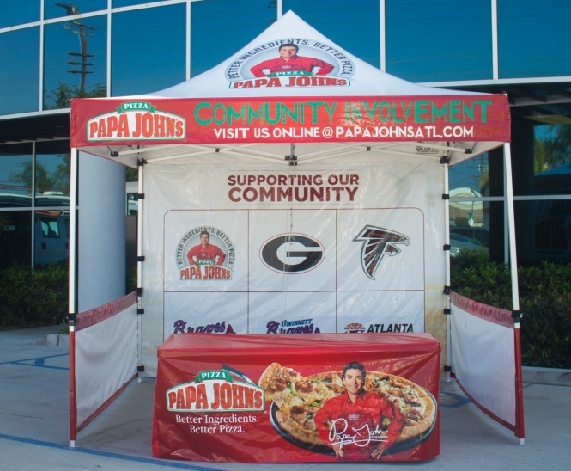 If you are looking for the absolute best canopy frame, this is it. 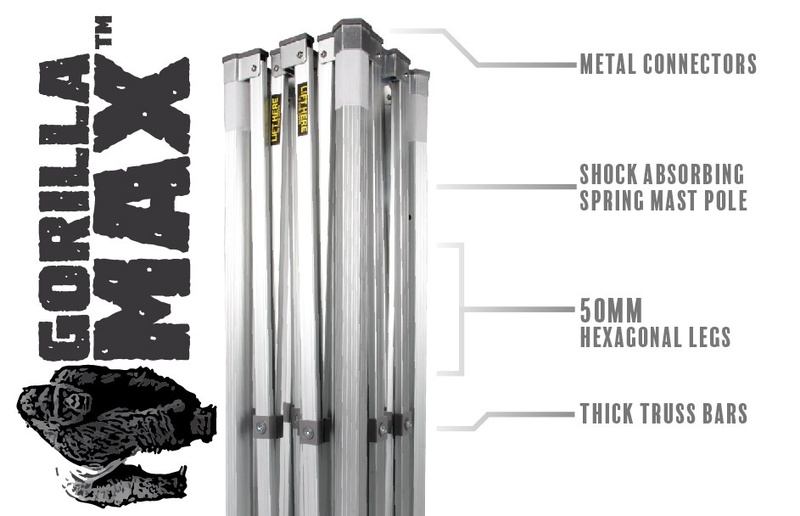 The Gorilla Max is our best frame in our heavy duty tent line-up. It has a solid metal structure that gives it not only more strength but also durability. It offers the best frame warranty, the thickest components and a solid build. 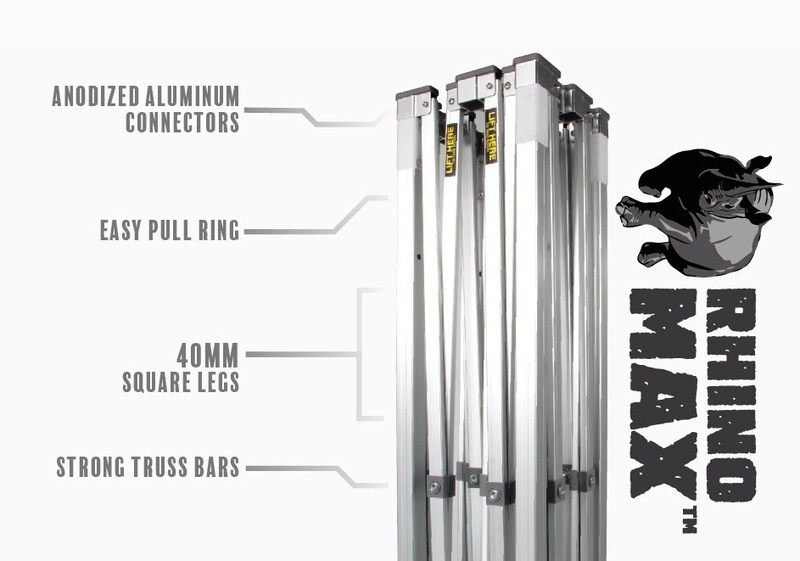 The Rhino Max is a strong and reliable frame that is suitable for all situations. It is made of commercial grade aluminum that will not rust and it comes with a great 6 year warranty. Its aluminum body is lightweight yet durable. 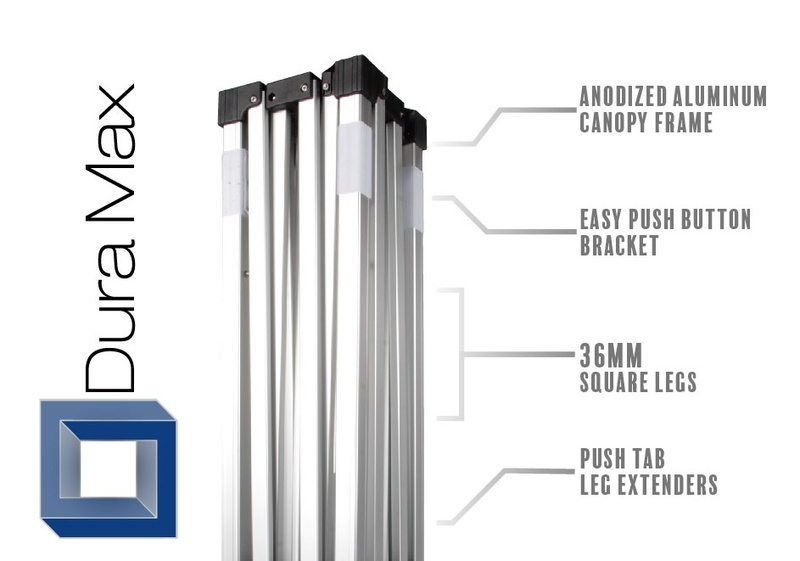 The Dura Max is our most popular canopy frame in the entire lineup. It is suitable for anyone looking to use the tent year round. Its lightweight construction makes it easy to transport and handle. It can easily be installed by one person, tent top and all. On a budget? 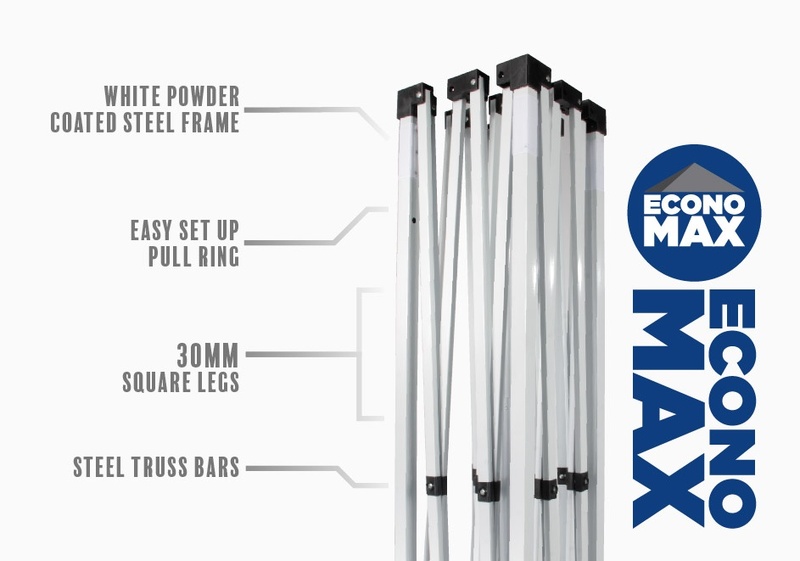 No problem, the Econo Max packs a punch and cost less than our other frames. Although it is cheaper than our extreme duty frames it is still a heavy duty frame that should not be taken lightly. As a matter of fact, it is also a very popular frame and our clients love it! Need help choosing the perfect frame? Heavy duty frames come in a range of sizes, styles and tiers. 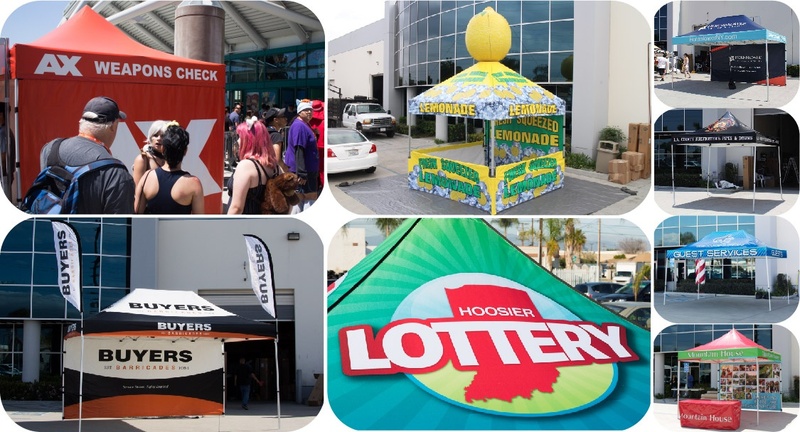 These four pop up tent models can be difficult to choose from, but fret not, we are here to help. Give us a call and tell us how you will be using the tent and we will work with you to find something suitable for your needs. 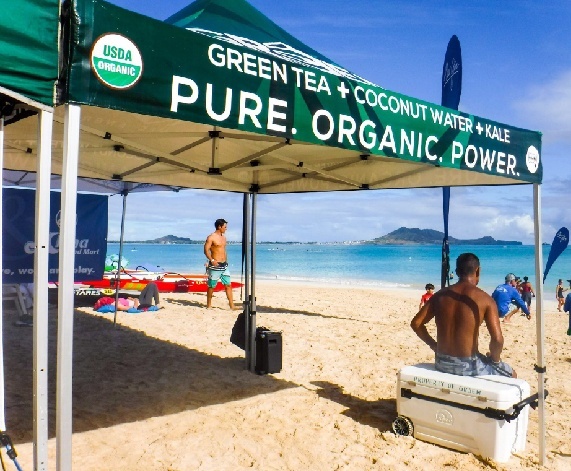 If you need a frame that will never ever fail you, then the Gorilla Max might be the frame for you, but if you will be using the tent far less we recommend the Econo Max or the Dura Max. The Econo Max is perfect for those looking to use the tent multiple times a month while the Dura Max can handle being used just about every day. Regardless of the frame you choose they can all be customized to your liking. You can add accessories or keep it simple and clean with just a tent top. If you are looking for the best of both worlds then you can check out our packages. They offer multiple tent layout options at great prices. These not your style? 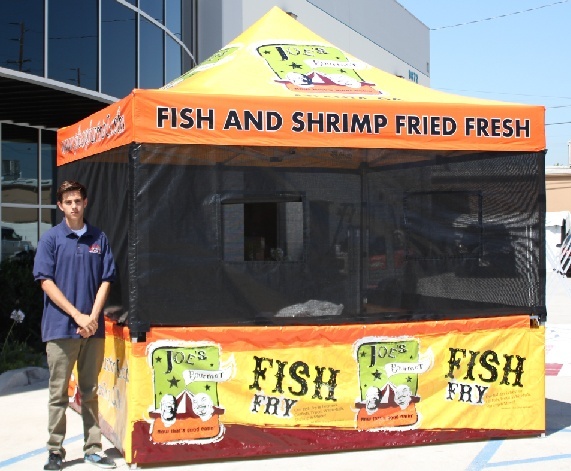 Visit our Pop Up Tent Packages page for more options.